Welcome back to the Muslim Convert Channel! Back in our section on the Furūʿ al-Dīn, we spoke a lot about Islamic law. One thing we did not really talk about are the sources of Islamic law. Where are they taken from? What source holds the most authority? 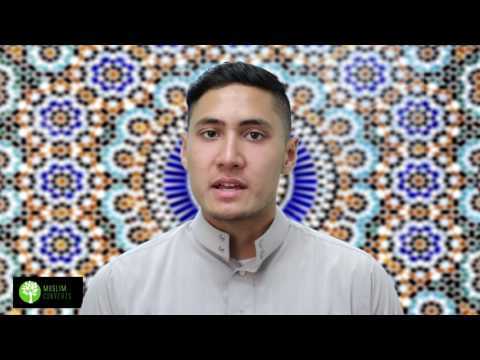 In this lesson, we’ll briefly take a look at the sources of Islamic law and analyze how the Quran, Islam’s holy book, is the most authoritative source of them all. Knowledge of the Qur’an is therefore essential in understanding Islamic law, especially in our modern world. We often see extremists committing many barbaric acts and justifying them through a warped understanding of Islamic law. Why is this the case? Well think about it, if every single detail of Islamic law, or any other religious matter, was in the Qur’an, then the Qur’an would have endless volumes and it would become an impractical holy book! Imagine carrying a book that is hundreds of volumes long. Holy books are useful when we can carry them around and use them as sources of guidance! The Qur’an and hadiths are therefore the originators and establishers of Islamic law. As the Qur’an commanded Muslims to perform deeds, the Prophet (s) and his Ahl al-Bayt (as) taught Muslims on how to perform them and shared all the important details that people needed to know. Our third source of law is something we call ʿaql. Aql is in reference to the human intellect. One of the tools of the intellect which is useful in the Qur’an is the power of inference which in Arabic is called istinbāt. Inference is sometimes used when Muslim scholars try to derive a specific law that may not be too clear both in the Qur’an and in the hadiths because the legal case at hand is unprecedented. For example, we have a hadith from the Prophet and the Imams of the Ahl al-Bayt (as) that “every intoxicant is forbidden” or “every thing that ruins your mind is forbidden.” Some drugs, such as methamphetamines did not exist during the time of the Prophet or the Imams. However, with our intellects, we understand that modern drugs like methamphetamines ruin the mind. As such, we can infer that these drugs are forbidden by Islamic law. The other source is called ijmāʿ or consensus. Consensus can refer to multiple things, either consensus of scholars or consensus of the Islamic community. The idea behind this is that if Muslims agree on something, or at least scholars agree on a certain matter, then we should assume that the position is legally sound. Now obviously there are many types of ijmāʿ in Islamic law, and it is a controversial source of law, especially among scholars. However, it does have some power in certain situations. For example, all Muslims agree that there are five obligatory prayers. The fact that all Muslims historically agreed on this is of great evidentiary value as it establishes, on a historical basis, that the Prophet (s) did in fact teach this. Unfortunately, some people get boggled up in these details and forget the elephant in the room when we speak of Islamic law, namely the Qur’an. The Qur’an holds the number 1 say in Islamic law. Nothing supersedes it. No interpretation, or legal conclusion may contradict its ethical principles. Does the Qur’an contain all of Islamic law? What’s the relationship of hadiths and the Qur’an in Islamic law? What is Islamic law’s most important source of law? What is the second most important source of law after the Qur’an?